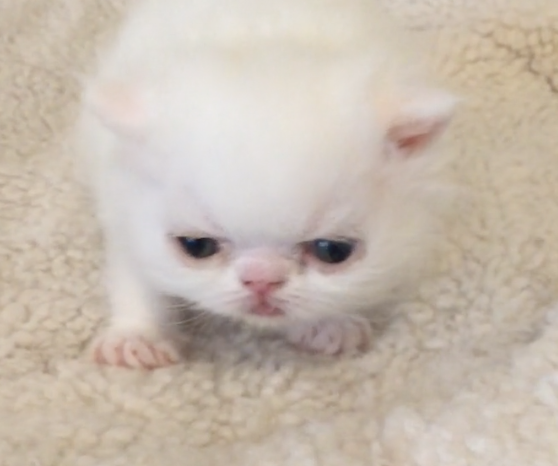 We loved Tom Petty, we love this little white Exotic Kitten too. He's the baby of Grand Champion Crystal Gayle. Great genes! Click the picture to see the action.